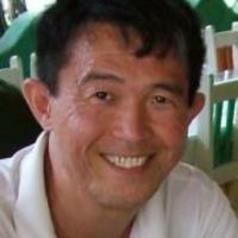 Carlos Saito is biologist and systems analyst with Master degree in Education and Doctoral degree in Geography. This background allows him to perform in an interdisciplinary approach relative to environmental issues and develop research at the interfaces of different knowledge areas (Life Sciences, Earth and Physical Sciences and Human Sciences). He is a senior researcher, at the top of the Brazilian Federal Professor career, and presently, his research encompasses cooperation with the Global Water Partnership (GWP); the Brazilian Research Network on Global Climate Change (Rede Clima) - the subnet Climate Change and Regional Development; and the International Joint Laboratory (LMI) - Observatory of Environmental Changes-OCE (Brazil-France cooperation). He is working with Bronwen Whitney of Northumbria University to widen international cooperation in research into Brazil's Pantanal wetlands.